Okawa R, Nakano K, Yamana A, Nishikawa N, Nakai M, Taniguchi M, Matsumoto M and Ooshima T. Evaluation of factors related to nursing caries in 18-month-old Japanese children. Ped Dent J 21, 49-55, 2011. 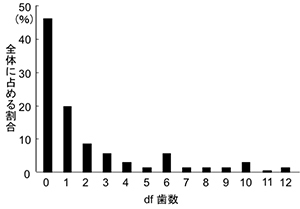 Tamura K, Nakano K, Hayashibara T, Nomura R, Fujita K, Shintani S, Ooshima T. Distribution of 10 periodontal bacteria in saliva samples from Japanese children and their mothers. Arch Oral Biol 51, 371-377, 2006. Okawa R, Nakano K, Fujita K, Nomura R, Nonomura E, Miyamoto E, Ooshima T. Evaluation of recall examination system used in our clinic. Ped Dent J 17, 176-178, 2007.